Is consulting just a distraction from the software you really want to build? Today’s guest had a goal for growing his company to $50M in revenue. In the beginning no investor believed in him enough to back him. So he earned the money he needed by doing consulting work. Did he hit his goal? We’ll find out. Larry Kim is the founder of WordStream is software for search engine and social media advertising. Andrew:	Hey there, freedom fighters. My name is Andrew Warner. I’m the founder of Mixergy where I interview entrepreneurs about how I they built their businesses and where I use these beads to stay focused. That’s why I got beads on the mic. Every once in a while, Larry, people ask me about it. Joining is a man I’ve been waiting to interview for a very, very, very long time. Larry Kim is a guy who had an idea for how big he wanted his business to get. He decided $50 million in revenue. That’s what he was going to aim for. And in the beginning even though he was doing well, investors just didn’t like his business, didn’t like him, or for whatever reason decided they weren’t going to back him, so he said, “Screw it. I’m going to earn my money by doing consulting work,” and he did and he built up his business. 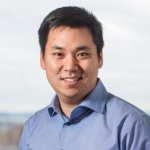 And his business, Larry Kim’s business, the one that he founded, was called WordStream. It’s software for search engine and social media advertisers. Did he hit his goal? We’re going to find out in the interview along with three things that I’m walking into this interview trying to understand. Number one, I want to know whether consulting actually helped him create a software, or was it really a distraction? Number two, before we started talking, he said that he did a bunch of crazy things that led to customers. I want to find out about them, how he came up with them, why he thinks they’re crazy. And number three, every time I research you, Larry, all the people kept saying is the famous, in some way, the famous Larry Kim, right? I want to know how you got internet famous and used it to get customers. And this interview is sponsored by two phenomenal sponsors. Both of them I intentionally picked out because Larry says he didn’t know about them. I’m going to open him up to these guys. The first is called ActiveCampaign for sending out email marketing that’s smart and the second is Toptal for hiring smart developers. I know Larry is going to want to use both of them so I’ll tell him about them later. But first, Larry, welcome. Larry:	Hey, thanks for having me, Andrew. Great to be here. Andrew:	Do you know what the top tweet is? The one that you pinned on your Twitter account is? Larry:	Something to do about selling my business or something. Andrew:	Yeah. You sold it for how much? Larry:	$150 million in cash. Andrew:	With an opportunity to get more money, right? Larry:	Yeah. And there’s even like cash on the balance sheet. Like there was like . . . like I had some distributed to the preexisting shareholders prior to close. Andrew:	So you get the cash before the close. You get the $150 million, you and the investors that eventually came in to support you and then you got money afterwards. Do you remember the day that you signed that agreement? Larry:	Yeah. It’s kind of crazy. You know, honestly like fear, a founder, you don’t make a lot of money. They don’t want you to get rich off of a big salary or anything like that. They want to keep you hungry and so you go from making a pretty average internet marketer’s salary or [whatever is 00:02:46] doing, then you sign this thing, and boom, like, great boom. Andrew:	So the day that you signed the agreement, you remember where you were? Do you remember when the money hit your account? Like I think it was Barbara Corcoran who told me she went to the ATM, and she remembers the first time she looked and goes, “Oh my God. My life just changed.” Do you have one of those Barbara Corcoran type moments? Andrew:	Last question about this. I do want to make you feel uncomfortable. I feel it makes for a better interview. But last question, how much was in that account? What are we talking about? What was your share of that business? Larry:	I can’t disclose that. Andrew:	You can’t disclose it. Larry:	It’s lifechanging, you know. Andrew:	Did you own more than one-third of the business? Larry:	It’s more money than you could ever spend in a lifetime. Andrew:	Wow. Did you buy anything for yourself? Larry:	Well, I have a family and I have two children, a four year-old and 0 year-old. And we bought a place in Harvard Square. It’s like a home, so those are kind of rare. So we’re morning in actually this week. Andrew:	Congratulations on the new place and the new baby. Wow wee. I’m just like picturing you and I want to know how you built up this business, but I’m picturing it as the guy in Canada whose mother was a piano teacher . . . You’re going to see your mom in a little bit, right? That’s why we couldn’t record later today. Larry:	I have to pick her up, yeah. Andrew:	Is she proud of you? Does she actually say, “Congratulations. I’m impressed by how you did?” or is she stoic about it? Larry:	It’s a mystery, you know. Nobody fully understands what we do. Even my wife doesn’t know what I do and I don’t talk about it much. Is your mom someone like that? Is she someone who throughout the years just encouraged you and complimented you? Larry:	You know, she was a piano teacher and early on I kind of figured out how she ran her business with kind of getting customers like from schools using the little flyers. And she would like, you know, do marketing like she would charge more than all the other piano teachers because . . .
Andrew:	Because she was a better marketer? Larry:	Well, because she wanted to differentiate herself as being like kind of like the highest priced one, and then she explained to me why that was important. So I was like a four or five year-old learning about this entrepreneur stuff, and I think a lot of people who end up going into the field like as opposed to just working for a salary man or something like that, I think a lot of times there’s family influence. Andrew:	And so you saw that she was doing this. You were influenced by it. You actually said, “You know what, I think it would be super cool to if I could make money working for myself.” Right? You said that growing up? Larry:	Yeah. Yeah. That was always the goal. I just didn’t know what was the opportunity. You know what I mean? It was kind of like a . . . I was on a mission to create a business. I just didn’t know what the business would be. That’s all. Andrew:	What’s the recycling program that you started? Larry:	I was a summer project that I got a $20,000 grant from the government to employ young people to, you know, provide employment for them to just pick up cans and stuff like this. I was milking it from all different sides. I had the government paying for the wages, and then I would profit off the sale of the materials, and I would recruit sponsors like local businesses to pay for all the promotional materials. Andrew:	What do you mean? What promotional materials did the businesses support? Larry:	Oh, we had a collection center where people would drop off stuff, and we would have company logos and stuff like that and also the fliers that we sent in the field talking about like . . . this is before recycling was a thing and it’s pretty common now. Andrew:	And so you were finding businesses that want to be aligned with this do-gooder mission and helping kids and helping the environment. Is that it? Larry:	Yeah. Like [Laidlaw 00:07:16] or like there’s a garbage company . . . early on I was like an intermediary between companies wanting to sponsor something, government programs, you know, kids who want jobs, and that kind of thing. And I was hooked. Andrew:	What were you guys recycling? Larry:	Just like cans, newspapers, and glass. That’s all. Andrew:	Oh, my that’s it. Okay. All right. I heard that the sponsorship revenue was pretty impressive. How much was it? Larry:	They would pay for all the costs and, you know, provide . . . you know, it was like $10,000. It was a big deal for like a 16 year-old or whatever. Andrew:	So that was your summer project when you were how old? Andrew:	Okay. Was your piano teacher mom proud of you then, or was it just like that’s just the way we are, that’s who we are. We eat our vegetables and we do this. We start businesses. Larry:	You know, I think so. Yeah. Andrew:	Okay. All right. Then you started doing some internet marketing and consulting. What kind of internet marketing did you start off with? Andrew:	And so companies were paying you to do SEO for them, and you were doing SEO I’m assuming for affiliates or what? Larry:	Yeah. I think I kind of figured both paid and organic search like they’re both very important, and I wanted to ideally use it for myself to build a business like a significant business but I didn’t have any ideas, and so I did consultant work. So I helped other companies doing their paid and organic search marketing and that generated a decent amount of income. It would put people on retainer fees for $1,000 a month or something like that and I had 7 to 10 customers. And so that was a lot of money for . . . I was in my 20s at the time, so that’s pretty crazy if you think about it like earning like $70,000-$80,000 a month. Andrew:	Is it inappropriate for me to ask how old you are right now? Larry:	I’m older than I look. I’m 40. Andrew:	Oh wow. You’re 40? Andrew:	Because in your photos you look like a boss. When you and I just got on chat, I thought you were like a 21-year-old kid. Kind of snowed us all by having someone Photoshop his pictures. Larry:	Well, you know, it’s like Asians, they have that thing going on. Andrew:	What you told our producer was producer was, you know what, I was thinking I need to sale software instead of a service. And when our producer talked to you, you said, “It’s because I’m lazy.” What do you mean by that? Larry:	Yeah, so I’m like 25 or something, so I’m doing search engine marketing consulting for different companies, and it’s really doing the same stupid things over and over again like keyword research, keyword grouping, and rank checking and all this crap, bid management, and so it was just . . . My background is in electrical engineering. I went to university when I was in Canada and initially I just started writing some software to automate stupid repetitive tasks because I’m lazy. That helped me scale the business a little bit, you know, spend less time managing my clients. Andrew:	What was the repetitive task that you did, that you started automating? Larry:	The whole thing about search engine marketing is you’re trying to organize content, you know, create a taxonomy of like different keywords that you’re going to rank on and the better organized you can attack that problem, the better you will be at solving that part, that solution. It’s kind of like Wikipedia like how they rank for everything. Like you want to create a little, mini Wikipedia site for your own niche. I had this process where I would kind of figure out all the possible keywords that people are searching for and then kind of grouping them in a taxonomy of categories and subcategories and that would become the structure of both the website and the pay-per-click advertising campaigns. Okay. Larry:	That’s a lot of work and it’s ongoing because you’re discovering new keywords that need to be kind of refactored into the existing campaign structures or the existing one wants a [higher key 00:11:45]. And basically I kind of came up with the tools to automate that process because it was like millions of keywords. And like I was saying earlier, like I always wanted to have a company. I just didn’t know what it was going to be. I was in a situation where like, you know, holy moly, like I have all this revenue coming in and like I have this stupid internal tool I’m using myself. Maybe that could be the thing that I’m selling. Like just selling some stuff, marketing software basically to businesses because that has more capability to scale than just like taking on a twelfth customer. See what I’m saying? Andrew:	And so is that when you went to pitch venture firms to get some funding? Larry:	Yeah. Yeah. I pitched them on 2007. I pitched I’d say about 100 firms and they all said no. Larry:	Yeah. Yeah. It was pretty ridiculous at that time but, yeah, you have nothing to lose because there’s no reputational risk or anything. You really have nothing to lose. I just pitched like the inbox like contact@venturefund.com and stuff like that. I got maybe a dozen meetings. They all said no for the same reasons. It was like you don’t have a business here. This is just like an idea. It’s kind of like half-baked and that kind of stuff. I didn’t know what I was doing. Andrew:	So you had a consulting company that was doing how much in business? Do you remember? Larry:	Like $80,000 a month, something like that. Andrew:	$70,000, $80,000 a month. And they still didn’t take you seriously enough to invest in you, to back you. Larry:	They don’t want to invest in a consulting company. They want to invest in like a, you know, software services, software platform business. Like something where you get better multiples on exit. Andrew:	This is the time when the seed investors weren’t going to just pay you to figure out software. I think a little bit later that accelerators would’ve put a little bit of money into you, right? Larry:	Yeah. I didn’t even know about those things. I’m so dumb. So like, you know, I just pitched a bunch of places and they all said no. But the reasons they gave me consistent feedback. It was you don’t have a team. It was just myself. They don’t like to invest in individuals. They want to invest . . .
Larry:	I didn’t have enough . . . I was using my product but it wasn’t like, you know, the like, you know, hundreds of customers. You know what I mean? So they could talk to those customers. So basically that was kind of annoying but because I kept on getting the same feedback over and over, I kind of figured, well, maybe they have a point, kind of grudgingly. Just kidding. But the good thing was I had revenue coming in. I had all this money coming in, and it was like I was buying housing and cars and just treating the company like a piggy bank, okay. And then I just decided, well, instead of just using this as a piggy bank, why don’t I actually invest the money the company is generating and then use that for investing in the business? Andrew:	They go away angry but instead, you went out and actually did it. So 2009, you raised money from Sigma Partners. Am I right? Larry:	By 2008, yeah. It was Sigma Partners who led my A round. It was $4 million. I thought I had basically won the lottery at that time. Little did I know that would be like just the first base, or not even like . . . it’s like getting to bat. Like it’s a like a long journey ahead, 10 years. But yeah, I thought it was the biggest deal ever. Andrew:	When did you create that goal of hitting $50 million in sales? Larry:	Oh, right from the get-go. Andrew:	From the get-go. As soon as you started software, you said we got to get to $50 million? Larry:	Well, it didn’t really matter the number. The $50 million was like a big five-year revenue target for me. But the point was I wanted to, you know, crystalize, like at least put a couple of goals in place to kind of make sure that investors that we brought on and the employees and management people that we brought into the team were, you know, capable of thinking of big goals. Same thing. Ninety-nine percent of people that you pitch this crazy idea will say no and they’ll say you’re crazy. But 1% of the people, they’ll actually believe you and those are the believers. Those are the only people who can make something great happen. You know what I mean? So it’s kind of like a filter by projecting like this really lofty goal. It helps me find the right people, if that makes sense. Andrew:	Yeah. What was the first version of this software when you finally decided you’re going sit down and do it yourself and fund it yourself, what did it look like? What did it have? Larry:	It was a tool for me. It was like it was automating my personal work flow, which unfortunately was not representative of like 99% of like the rest of the market because I was kind of like the crazy mad scientist when I was a search marketer and it was a little too complicated, well, a lot too complicated for the average bear. Think about like Google Keyword Planner, okay, but like 10 times more advanced than that in terms of being able to organize and classify data and to prioritize different opportunities. We spent a few million on building this thing out, and we had a few customers, like a couple hundred of them, but the problem was the churn was very high. It was like keyword research isn’t like an ongoing task. It’s something that you just do and then you’re done. So the churn was like, you know, 25%. Andrew:	I’m sorry go ahead. Andrew:	But you actually got customers? Andrew:	All right. Let me come back and ask you how you got your customers. The first sponsor I’m going to tell you about though is a company called Toptal. You’ve had good experiences with great developers. Give me an example of like what a great developer was able to do for you that a regular developer, even a team of regular developers can’t do. Do you have an example of something that one of your favorite developers was able to do? Larry:	One of my cofounders Gerard Escalante, he can do more software stuff than a dozen regular average engineers. They exist, these unicorns. Andrew:	Yeah. That’s the idea behind Toptal. They said, you know what, these unicorns are really hard. Companies have to spend a long time looking for them through their friendship circles, trying to talk to their people to see who they know, put ads up, research, interview forever . . . They said, you know what, we have a way of bringing these unicorn type developers to us. By the way, what is it with you and unicorns? I saw it on your Twitter account. I think you said you’re even into unicorn marketers. What a unicorn marketer? I’ll come back to this ad in a second. Larry:	It’s just a metaphor. It’s for like remarkable, something unusual, like rare. Andrew:	Yeah. That remarkable, rare, feels impossible to the rest of the world but these people exist. Right? That’s what you’re thinking about when it comes to marketing. Larry:	Like top 1% kind of thing. Andrew:	Yeah. That’s the idea behind Toptal. They want to get the top, top, top people into their network and the way they do it frankly, Kim, I’ll tell you. Remember how Google used to have those ads with like tough questions, tough like math questions up on billboards? Andrew:	Remember that? They knew that the best of the best developers can’t stop but think about it and they got to figure out the answer and come through. So Toptal did something similar. They created this insane test that you see developers who have gone through it will brag about having gone through it and talk about the hardships, and those who failed will talk about why they let themselves down and how they’re going to go back out there and try to beat it again. So they put that together. They ended up with that and a few other tools helping them get a great network of developers in their network, and now when someone like you or me needs a developer, all we have to do is go to the URL I’m about to give you. Hit the button, you schedule a call with a matcher. The matcher makes sure that you are at a level where you can work with someone who’s the best of the best. And frankly, some of my people in my audience were turned away. Fine, I rather turn you away if it’s not a good fit. But if you are at a point where you can work with these people, the best of the best, they will introduce you to the right person in there network and if you like them, you can often hire them and get started within days. And that’s full-time person, part-time person, a team of people who work really well together and these guys are all over the world so that they don’t have to charge you San Francisco prices or Bay Area prices. All right, Larry, for you and everyone else I’ve got a special URL that will give you 80 hours of Toptal developer credit in addition to . . . 80 hours of Toptal developer credit when you pay for your first 80 hours in addition to a no-risk trial period. Basically, they don’t want to charge you unless you get the results that you’re looking for. Here’s the URL. Go to toptal.com/mixergy. That’s top as in top of your head, tal as in talent .com/mixergy, toptal.com/mixergy. Larry, what do you think? Andrew:	Yeah, man. How did you get your first customers? Larry:	You know, just referrals and referrals of referrals, that kind of thing. You got to understand search marketing was pretty new a decade ago and so it was harder to find people than it is today. Andrew:	How were you getting attention back then? Were you blogging? Were you doing something else? Larry:	Again, I was doing search marketing and search advertising. Here’s the funny thing. like if you Google words like AdWords or keyword tool or link building, like you’ll see me in the search results. Andrew:	And so you’re saying . . . but back then you were blogging that much 10 years ago? Larry:	Like one or two articles a day. Yeah. Andrew:	Are you also the author of a couple of selection of books like is “Professional JSP” is that you Larry Kim, or is it a different Larry Kim? Larry:	That’s me. Those are software development books. But like my background is engineering and like this whole marketing thing is kind of random. I wasn’t trained in it or anything. It was just . . .
Andrew:	Listen to the titles of these freaking books. “The Official XMLSPY Handbook.” “Java Server Programming, J2EE Edition.” That’s you? Larry:	Yes. That was my [eight axis layer 00:23:14]. So it was a lot about how to efficiently, you know, get your database information on the web, kind of thing. Andrew:	And you used to do like programming tutorials on your personal page, right? Larry:	Yeah. That kind of thing. Andrew:	I see. So even from the beginning, you were writing online. You weren’t the guy who I’m seeing today who is almost bigger than life. But you were the geeky engineer who is very proud of his resume, had it on his homepage, and offered developer tutorials. And so that’s how people started to know you because of your writing. Larry:	I would say that’s a skill that I had and that I used that to write about marketing instead and that was back before like everyone was blogging and stuff like that. So that was helpful. Andrew:	And that led to you getting some customers? Andrew:	Okay. Is it too personal for me to ask about as I was looking on your site, you gave a link to Christian music. And the link for that was larrykim.com/praise. Are you a religious person? Larry:	I mean, I go to church, like baptize my kids and that stuff. Andrew:	Not uncomfortable to ask you that here in like a business setting? Larry:	I don’t wear it on my sleeve or anything like that. I know there’s people who do. Andrew:	You know what, I’ve had people come here for scotch night and you could be into the most wacky thing and people are interested. But as soon as you say that you’re into any religion at all, they treat you like a weirdo. And so I could understand why you wouldn’t want to spend a lot of time on that. So I’ll move on. I now understand. You were blogging. People knew you in this space. You were starting to get referrals. Your problem was that people were signing up using the keyword tool, they go what they needed and then they moved on. Right? Larry:	Yeah. It’s like a leaky bucket. Like the churn was just insane and the pricing was not great either. I was trying to sell this for like $1,500 a month and that was more than the market would bear. Andrew:	Oh really? But you got to $1 million sales just at that level, right? Larry:	Yeah. But there’s a difference here. At some point when you . . . there’s like churn characteristics of a business. So you can build a million dollar business with a customer lifetime value of five months. You just have to sell a lot of stuff. So at the rate of new client acquisition it kind of makes up for like a huge amount of losses every month, you know. It’s just not a very scalable . . . there’s a terminal velocity. Like it’s the biggest that this business could ever get, even if you had like 100 sale sequences, would’ve been like a $2 million or something like that. You know what I’m saying? So it was kind of like an oh crap, you know, what are we going to do here? The assumptions are wrong basically. We thought we would charge more for this. We thought people would stay a lot longer but both of those were off by over 30,000%. Andrew:	Wow. Okay. What about, before we go on to what you did to adjust for that, one of the things that stood out for me was you told our producer even though the product had issues, you were really good at capturing leads, at capturing email addresses. What was it that you were doing early on? Larry:	I’m very good at SEO. I’m very good at online advertising. And stuff was cheap back then. So I got clicks from Google for like 10 cents. That was a pretty good deal. Andrew:	And when people came to your site, how did you capture email addresses back then? I know what you guys do now at WordStream or what they do now at WordStream. What did you do back then? Larry:	Just, it was like a gazillion ebooks and this kind of nonsense. Nothing too, too fancy. Andrew:	Okay. So it was a standard blogpost that leads to an offer for an ebook. You get asked for an ebook. Larry:	Or a free trial. Yeah. Andrew:	Or a free trial. Okay. And this was a big thing that you guys were doing really well. Larry:	Yeah. We get thousands of leads but you know, again, the product wasn’t very SaaS friendly in terms of like . . . I think the price and the retention interest [inaudible 00:27:33]. Andrew:	Before I go on to how you fixed this, I still want to know a little bit more. I want to know about the consulting that you did. It seems to me that the first version of the WordStream software was the tool that you needed to do your job as an SEO consultant and so that’s smart. And you were selling to other people who were SEO consultants or doing SEO who needed the same tool you needed. So is it right to say that by solving your own problem through software, you were able to create a product that would solve other people’s problems? Larry:	So, yes and no. Like I said before, there definitely was a niche for people who needed the software and the challenge was I overestimated how smart marketers were. I thought this is pretty straight forward. Anyone could use this but it turned out that like 99% of the people I showed this to were a little bit lost, a little bit kind of overwhelmed by it and maybe like less than 1% of people like would be like, oh yeah, this is totally . . . So basically, what would you call this? There’s like a bias. A [inaudible 00:28:46] bias because this is obvious for me so why isn’t it obvious for everyone else? I would say that I kind of missed the mark on the finished product was just a little too complicated. Andrew:	It’s a little too Larry Kim focused. And if you do it again, maybe talking to other potential clients would’ve helped you broaden it out. Showing them some screenshots. Am I right? Larry:	Yeah. It’s hard because you only know the part of the market that you know. Like the people who [inaudible 00:29:13] were also early on were also advanced marketers and so they were kind of reinforcing this echo chamber. You know, they were going, “Oh, this is great. I want it even more advanced.” Later kind of a more global picture of the landscape of the marketplace emerged, and it showed that there were millions and millions of these marketers, but 99.7% of them were not that sophisticated. You see what I’m saying? Andrew:	I get that. And so you went back and you had to adjust your software first to make it easy for people to use and understand and second to make into something they would be willing to pay an ongoing fee for. What was the change that made? How did you go from where you were to something that people would pay more often for? Larry:	We basically got rid of the product. So it was hard. We spent millions of dollars building this thing and it was like I just don’t see it as becoming a significant valuable business based on the churn characteristics that we have, so I kind of like . . . I didn’t pitch it to my investors saying it’s an advantage. It was more like hey, let’s do this strategic pivot to like learn from our findings here. Andrew:	It was everything I would need to pay for ads on those platforms? Larry:	Exactly. And management, you know, the reporting, the . . . so that basically is kind of a higher value kind of value proposition as opposed to like a toolbox which is just like one thing you’ll use in one moment in time, you know? Andrew:	Yeah. A [in tech 00:31:31] solution instead of a piece of the puzzle. Larry:	And there was a one-time component like call tracking and recording that is ongoing that was automatically working through. Andrew:	To tell you when calls were coming in because the ads you’re placing? Andrew:	That seems like a pretty intense product, Larry. Did you at this point run it by potential customers? How did you build something so big and still keep it connected to the end customer? Larry:	Like I said, we had tons and tons of customers or prospects trying out our keyword research so there was like a steady flow of, you know, leads. I just needed to come up with that was a little more sticky and more valuable. Andrew:	But maybe this is my research weakness, but I didn’t find any like beta screenshots bringing people into your process. I saw old blogposts where you were trying out news about search engines on your site where you did interviews where you did lots of different things but I didn’t see anywhere where you said, “We’re thinking of creating this screen and this tool. What do you think?” So how did you get feedback? Larry:	Yeah, just privately because, I don’t know, maybe we do things differently but at the time I was feeling a little nervous and I didn’t want to blog about like, “Oh God. We’re doing a complete reboot of the company.” You know? I just didn’t want to lose the confidence of my investors or my employees or my team. Andrew:	So it was one-on-one calls with people and doing screensharing and getting feedback? Larry:	Like GoToMeeting and that kind of stuff. Larry:	Less a part of, like a more seasoned executive, like a product change agent who had done a couple of [inaudible 00:33:12] before and he kind of guided me through the process. Andrew:	What’s one thing that you learned by having those conversations with customers that you wouldn’t have guessed even though you were in the space for so long? Larry:	I always knew that there was like people who were really advanced and people who were really unsophisticated and I thought that the breakdown was something like 70-30. Like 70% of the people really know what they’re doing and . . . I’m sorry, 30% of the people really know what they’re doing and 70% of people have no clue. After having done these calls, I think I missed the mark by like one or two orders of magnitude. So I think it’s more like between 3% and .3% of the marketers are really sophisticated and know what they’re doing and the rest really are really just struggling to do other things and this is just like a side, you know, initiative that they also have to manage. Andrew:	They’re promoting their business and their business gets 97% of their attention. Their promotion gets a smaller percentage. Larry:	Yeah. I grossly overestimated kind of like how immersed a marketer would be like in terms of technology and processes and work flow. The people who were less engaged and less expert, if that makes sense, it was two orders of magnitude greater than I thought in terms of their relative population. Andrew:	By the way, I just used the wallpaper for my iMac that will actually go darker as it gets darker outside, I guess it’s getting a little darker outside, that took my attention for a moment. What about this? This is something that I’ve seen you guy have for years as I went back in time. The 20 minute PPC work week. What’s a 20 minute pay-per-click work week? Larry:	Oh it’s genius. Like that is the thing that made this a very valuable company. Like one of the things. It’s always hard to kind of point it to one thing. People who are doing advertising the thing I discovered is they all share this one fear that they’re spending all this money on advertising interest. They fear that maybe it’s being wasted or not generating the results they hope it is, so the 20 minute PPC work week is kind of like AI today, you know, like using algorithms to kind of suggest improvements but manually suggesting like 10 bid optimizations or keyword additions or you know, ad changes to the campaign to make better. And we would kind of just surface the opportunities rather than have them spend hours to size and process that information themselves. So this was like mostly a packaging kind of change. Like kind of inverting the product from a toolbox where you have to know what tools to use and how to use them to like a platform that uses the tools on your behalf and the kind of surface is the top insights, if that makes sense. So I just called that the 20 minute PPC work week and it was a genius. Like that was like what so many people were looking for. Andrew:	So you’re picking up on the four hour work week phrase, which was common. You’re saying our audience thinks they’re going to spend too much time and too much money. It’s not going to work out and so you’re combining the way that they speak with the need that they have which is to keep it short. You’re promoting the same product with an understanding of who they are. Am I right? Larry:	Before that if you would’ve told me like how important these gimmicks are, like, I would’ve kind of laughed, but now I realize like how important it is to really nail the messaging. Oh my God. There’s a difference between like a six-month sales cycle versus a seven day sales cycle. Andrew:	Larry, when you and I were chatting before I hit record, when you said look, we did all these crazy things that leads to customers, that’s one of the crazy things that lead to customers. Andrew:	All right. The other thing that I see when I go on to that site and anyone could go see it right now. It’s just WordPress . . . WordStream.com/ppc-pricing-managed-services and there are hyphens between those words. The other thing is something that changed your business and helped you really grow fast. I’m going to get to that in a moment. First, I’ve got to tell you about ActiveCampaign. What do you use for email marketing right now? Larry:	Everyone uses like MailChimp or SendGrid, that kind of stuff. Andrew:	Yes. Is that what you use? Andrew:	Okay. All right. No problem with them. Actually, I do but I’ve got to be nice because this is part of the sponsorship message. So everyone and all the software including the ones you mentioned, great. Here’s why I think ActiveCampaign is better than all of those. You ever notice that maybe there are people who come to your site, let’s go back to WordStream, not MobileMonkey. Imagine that someone would come to WordStream and constantly look at the agency service, the managed services part, or the agency pricing. And you see that they just keep going to the same thing. Why shouldn’t your email stop messaging them like they’re end users and instead say, hey, if they’re going to agency pricing, we should just trigger a set of messages that’s targeting people who are interested in agencies or running agencies. Maybe we send them a blogpost that are meant for agencies. Maybe we tell them why this is a great tool for agencies. If they’re dealing with managed services, why don’t we tell them how great our software is? Why don’t we tell them how we also have agency option? Why don’t we instead say, hey, you know what, it’s really tough to manage this own your own. You probably have an agency that does this for you or you’re researching them. We can do this for you. Does that makes sense? You understand what they’re saying on their site, and you message them. What do you think? Larry:	Kind of like we’re marketing. In marketing you’ll target different ads to people who visit, different [ages 00:38:46], so I think is what you’re saying is that sending different emails depending on their browsing and interaction history, which totally makes sense. Andrew:	Right. And when it comes to buying ads on other people’s platform, we do this naturally. Right? You buy an ad for someone who’s interested in the agency pricing option and then you keep buying more ads for them and you lead them to pages on your site that are for agencies. When it comes to our own email marketing, we just don’t do that. And ActiveCampaign says the reason we don’t do it is because it’s too tough. Larry:	We just do the big blast, like send to all. Andrew:	Yeah. That’s exactly it. It’s exactly it. Where ActiveCampaign says it doesn’t have to be so hard where you need a consultant to manage it. We’re going to make it so simple that you could just put a little code on every page on your site, then we can start enabling you to tag them. And guess what, if people are starting to click certain things within your emails, you could also use that as targeting. If someone is watching all of your videos all the way to the end and they’ve clicked on agency pricing, maybe you trigger and email that goes to them and says, “Our consultant standing by has a free day today, You can schedule a call with them.” And now you know they’re high value because they’re interested in agency and they’re watching a lot of videos so they’re really eager right now. Let’s get them on a call. ActiveCampaign does that. Makes it super simple. Anyone whose interested in it should go to activecampaign.com/mixergy. When you go there, you’re going to see that you can try it for free. Look at him, he’s grabbing his pen. 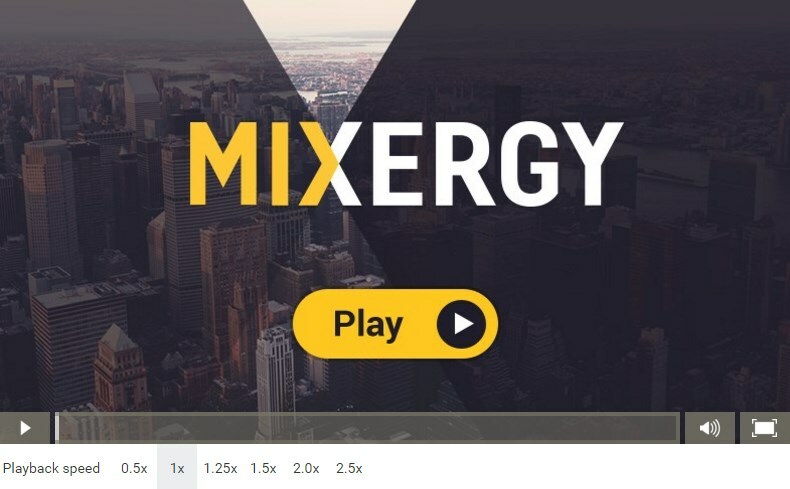 Activecampaign.com/mixergy will let you try it for free, number one. Number two, if you decide to sign up, your second month is going to be free. Larry, this point in your life, do you care that the second month is free? Or do you say, “Ha, ha, ha, I’m lighting my cigars with hundred dollar bills. I don’t need your free month”? Larry:	I would just give it a try and see how it goes. Andrew:	All right. I’m a little worried that maybe I’ve lost the value of money. I wonder if you have. Like sometimes I think I need this thing. Let’s just buy it on Amazon. What am I getting myself into? Just be a little more cautious. Anyway, so if you’re out there, you need to care about money. So second month will be absolutely free if you use that special URL. Here’s something more important that you get by using my special link. Two free one-on-one sessions with their consultants. So the first call, Larry, you get on, they say, “Larry, give me a sense of where you are?” You tell them you’re a little bit more advanced so they don’t talk to you. And they say here’s what we think you might want to try. They give you some direction, boom, you go try it. Or maybe your people go try it. And you come back a little later, you schedule your second one-on-one and you say, here’s what worked, here’s what didn’t work, and you come up with another plan and you continue. And finally, if you’re like Larry and you use the monkey email, the chimp email, or whichever other program, I don’t have anything against it but when you’re ready to migrate, they will migrate you for free, 100%. All you have to do is go to activecampaign.com/mixergy, you’ll get all that good stuff and I’ll get credit for sending you over, which means that they’re going to keep buying ads from me, which is fantastic because I love working with them and I appreciate that they support the work that we do over here. Andrew:	All right. The thing I saw on the right of the page was a grader that I can actually have my site graded. Larry:	That’s kind of the big epiphany. I was telling you about it before. It’s like people like we have this PPC platform and we offer a free trial of the platform like how original? We’re a software company with a free freaking trial. I’m joking. It wasn’t original. So typically, that would require like five hours and a consulting call to learn how to use and typically maybe 1% of the people would sign up for the damn thing would actually figure out and buy the thing. You know what I mean? This is hard. So the big epiphany was people are signing up for this thing. They have this fear that their ad budget is not used correctly. That’s why they’re signing up of this thing, and so I wanted to provide a way for them to understand the answer to that question in a very quick, you know, 15 second experience rather than having to sign up for a damn product and spend five hours learning it. You know what I mean? Larry:	So I took three engineers and I created something called the AdWords Grader and this thing is so genius. It’s just a report card that tells you like how you’re doing on AdWords. It grades all . . . it downloads some reports from your AdWords account and like click-through rates and cost to conversions, conversion rates and that kinds of stuff. And then it’s kind of like Zillow. It says like, oh, well, it does a relative comparison based on other accounts that we’ve seen in that space in that location in that currency. You know what I mean? So it’s kind of . . . your house compared to other houses in this neighborhood is worth 30% more or you know, people just like to compare. Andrew:	Compared to other people similar to them instead of comparing to like the zillion dollar house that’s . . .
Larry:	Exactly. So we find other [plumbers 00:43:37], like that are spending $500 a month and then we kind of give them a raking and it give them a score like, “Hey, Andrew, this is like the worst 4% of accounts we’ve ever seen here,” and then of course we were tough graders so we wouldn’t give any A-pluses like, you know, unless it was really warranted. So the impact of this was phenomenal. It was like you could really understand the answer to their question and how like we would showcase like here’s how much you’re wasting and here’s kind of the major problems and here’s like the core areas where you should focus on. Andrew:	You were connecting into their Google AdWords account, right? You weren’t just doing searches. They would give you permission from the beginning to log into their AdWords account and then you would search all that data and then come back and say here’s what you’re doing. Larry:	Yeah, in 20 seconds. And so that’s no different from the free trial that we were doing. So if you wanted to do a free trial of this pay-per-click advertising platform, you would still need to connect your account, but the problem was like it was taking too long for them to connect their account and learn how to use all of the different tools. And so my idea was let’s flip this around and just show them all of the answers like in a report card format, you know, where you could really quickly understand like, well, I do have an issue here that needs to be addressed. We created a villain, so we would show like that agency that you were paying 10% of ad spend to manage your account, they haven’t logged in like 80 days. Andrew:	Oh, you would even show that. Larry:	And here’s what activity, they changed one keyword. The other thing is we like made it evergreen so like it retains credentials so every month, Andrew, like we would give you another report card saying like, “Oh my God, your performance just tanked this month. Here’s the four or five [inaudible 00:45:30] messed up. So it would give you a chance to reengage that customer. Because like a third of the customers were like from old leads. You know what I mean? Larry:	Another thing it does is, it created a lot of urgency. So you can imagine if your worst fear is confirmed that you’re wasting all of this money that compresses the sales cycle from maybe many, many months to seven days. It made our sales team more effective in that we could . . . the value that we provide is proportional to how much help that they need. You know, if they’re doing everything perfectly then, you know, the value is less than if they’re doing everything wrong. So our sales team kind of prioritized who to talk to and figure out . . .
Andrew:	Now you even know how much you’re spending to know whether they’re just looking. Larry:	If they’re a good fit or not. The demo to close rate for an eternal sales team was 40%. Forty percent of the people that we get on the phone would buy the thing within seven days. So this is an example of just product-led growth where I kind of reimagined the experience a little bit more psychic like just to really get to the answers that they were looking for quicker in a way that had this synergy of shortening sales cycle, you know. Even itself was like a lead magnet, so millions of people have run this thing over the last few years on their own volition. Like it’s like I need to know how I’m doing. Like other agencies, they use this tool like just to grade their account for instance to decide on which account to spend the most time on. You see what I’m saying? Larry:	That was the inspiration. Andrew:	I was wondering if that’s where you got it from. From Dharmesh Shah. Andrew:	Why don’t you do that? Andrew:	And that is what my team says quadrupled your revenue. Is that what led you to hit your target? Did you hit your target of $50 million in sales? Larry:	This year we’re $55 million business in revenues EBITDA estimated. Yeah. Andrew:	And that’s a big part of it, being able to do that. Larry:	I think it changed the dynamic. Like if you have a situation where like you’re doing a trial and 1% of people are surviving that trial, that really puts a damper on how big the business can ever be. Because to grow the business, you’ll need a lot more leads like and enormous number of leads. But this was something that really, [40% down 00:48:26] with the close rate this is astronomical and the sales cycle being so short. Andrew:	At what point did you hire sales people to follow up? Larry:	You know, the solution sale. This is not like . . . My other company MobileMonkey is like we don’t have a single sales people. They just buy the software. But this one is a platform and WordStream and you get training and onboarding and all that stuff. So we’ve had inside sales people since the beginning. I would say less than 1% of the sales are they just come in and buy the thing online. It’s rare. It’s more like we have to demo and get the different people onboard, you know. Andrew:	Why did you decide to sell? Larry:	You know, it was 10 years, so there’s like a venture horizon where like companies are done just giving you the money for free. Like the venture capital companies are expecting a return on their money. So my first investment was in 2008, you know, so it just seemed like the time was right. Like we gave it our all and grew it into a fantastic business and just wanted to, you know . . . there’s a time to lifecycle where the next phase of growth would be like as part of a large organization and so that was kind of the idea. Andrew:	How did you sell to Gannett? Andrew:	I mean how did you find Gannett? Did you hire on the . . . what is it called? I forgot the people who make those introductions. Larry:	I can only go with what’s disclosed publicly so we used a banker name Houlihan and Lokey. Andrew:	So you hired an investment banker when it was time for you to sell and they . . .
Larry:	They’re just running a process. Like you still have to make it happen. [inaudible 00:50:29] there’s no magic. The investors aren’t . . .
Andrew:	You don’t just go to them and say okay, I’m ready for money and they find you a buyer? Larry:	You know, it’s a little harder than that. Andrew:	I want to close out with two things. First, we asked . . . our producer said hey, what is important to ask you that we didn’t address in this pre-interview and you said growth hacking strategies because people can really implement this in business. So what are some growth hacking strategies that you use that you think would still work today that we should be paying attention to? Larry:	Look, over the last decade I’ve learned a couple of things. Just briefly one of them is me projecting these bold goals because as I said earlier most of the people think you’re crazy but that’s okay. You need to find the believers and this is a really great filter for finding the right people who make your dream a reality versus the people that don’t have a clue. So be very clear on projecting something bold and ambitious. In fact with my new company, Mobile Monkey, I want to do twice the revenues in half of the time kind of thing. Andrew:	Twice the revenues of WordStream. Larry:	In half the time. Andrew:	And I should say to people Mobile Monkey is something I want to do a whole interview on and you feel like, Andrew, I’m not ready for that or it’s not ready for that. I get it. MobileMonkey to me is really interesting because it allows people to do messenger marketing inexpensively, and I feel like you’ve got something in mind for how messenger marketing should be done. Am I right? You’re smiling as I say. I feel like maybe I missed some of what you wanted. Larry:	No, no. It’s fantastic opportunity I think. It’s crazy. When I do a talk, like, to a marketing group and I say, “How many of guys are doing like chat marketing, like doing push notifications to users on messenger?” and that kind of stuff and it’s like crickets. Nobody’s doing this stuff and I just think that’s crazy. This is the greatest growth marketing opportunity in the next 5, 10 years. Andrew:	I agree. The open rates are killer, the click rates are killer. The fact that people even signed up for it with enthusiasm where when it comes to email marketing, they’re not doing that. So what are you using a MobileMonkey to promote that that worked for you before? Give me some of the growth hacking strategies that you . . .
Larry:	So projecting the big vision. Another one is like doing big changes. So like you’re never going to optimize yourself from a donkey to a unicorn by just making small little tweaks. Like you really have to kind of rethink the whole thing. Think about how I just threw out the old product. Okay, you spent $3 million on this keyword tool but let’s build something else. Like, you really need to [color 00:53:16] these big radical ideas like to kind of one up yourself at kind of little tweaks. It’s funny, maybe 3% or 4% of the work that I do was responsible for like the success that we had. And then kind of so just . . .
Andrew:	You’re saying making the placement in the button text of the ebook is not going to get you more leads, but instead playing with the grader not only got you better at more leads, but they were better leads. That’s the type of thing you’re talking about. The last idea is just how you come up with these ideas, how you come up with these crazy growth hacks in the first place. And basically it’s usually obviously hindsight. When I created the grader I was like, “Oh my God, why didn’t I do this three years ago.” You know what I mean? When I created the pay-per-click advertising platform, I thought, “Oh my God, why did I start with the [inaudible 00:54:33]. So basically it’s like usually you can figure it out. It’s like a problem you need to solve. It’s related the grader, the epiphany was like I asked users like, those thousands of sign up people like, what was it that you were hoping us to help you with today. You see what I’m saying? And that’s how I got to the fear. I was like well, I wanted to know if I was like . . . how I’m doing in my own advertising. You see what I’m saying? Andrew:	You’re saying ask people who didn’t sign up, what were you hoping this could solve for you. Larry:	What I’m trying to say it’s usually not some . . . your growth hacking is usually not some crazy pie in the sky idea that you came up with, you know, randomly in the shower, okay. It was more like related to synthesizing like the actual feedback and then trying to solve for that. And yeah, it’s surprisingly obvious like, duh, of course that’s what they wanted a report card. But like, it took me three years to figure that out. I don’t know. It’s always obviously in hindsight. Andrew:	So are you checking that? I know that one of the things you guys do at MobileMonkey is that you do webinars and summits, like these live events that people need to show up on time for. Are you then following up and saying what were you hoping to get out of this session and looking and coming up with ideas based on that? Larry:	You know, I know we’re doing a lot of webinars and summits. Yeah, it think it’s just like a kind of a content marketing thing. I don’t view it as very strategic at all. I think the more strategic gains will be from product-led growth. Like crazy new ideas I haven’t thought of yet. Andrew:	So here’s my feedback for you on MobileMonkey. Number one, I’m a little concerned that you built a really rich platform and you’re selling it for just $20 a month for unlimited use, right? Andrew:	It’s super cheap, much cheaper than your competition and it’s feature rich and feel like what your mom did was price her piano lessons higher to show people more value, and I’m concerned that now you’re coming in as the industry inexpensive option. That’s number one. Number two, I feel like what people really need right now is they’re coming in for a solution that chat is going to solve for them, right? And so it’s something like, I just need a reminder. I just need a thing for my event. I just need this one thing and chat’s the way to get in and if you could create that in an easier level, it would help them. Right? Does that makes sense? Larry:	Hey, Andrew, you’re dead on. Like, it’s early days. Andrew:	I love your business. I feel like you feel hurt when I say this to you, and I have no business hurting your feelings with my opinions on this space. Number one, you’ve achieved tremendous success that I’m working towards getting, number one. And number two, you’re in the freaking software, right? I get it. So I don’t want to be insulting. I just feel like you’re on to something here, and I want to give feedback to be part of what you’re doing. Larry:	Definitely. This is early days. Like we’re figuring it out. It’s a process. Andrew:	I want to unwind that process. But am I right? Am I picking up on how it is a little bit like it’s painful to hear me give this type of feedback? Isn’t it? Larry:	We hear it a lot. Andrew:	Is it painful to hear all this type of feedback a lot? Larry:	Like from . . . ? Andrew:	From users, from the world. Larry:	From other people as well. So other people whom I respect. Andrew:	Is it painful to go from being the guy, big reputation, from blogging for years writing books and so on, to suddenly having this new thing where that’s not where you want it to be and people are telling you and you go, “I know it’s not where I want to be. I was on top. Give me a chance.” Is that what it feels like? Larry:	It’s like, you know, when I left my company WordStream I had like hundreds of people working there and so like now I’m like . . . it’s hard. And also there’s like reputational risk. Like I had nothing to lose the last time. Andrew:	And you’re feeling the reputational risk? Larry:	Yeah. It’s a lot of pressure. But it’s good. Because if you’re not feeling like really uncomfortable about something, then you’ve peaked, right. It means you’re not being challenge and you’re not, you know, you’re not exercising those mental muscles like to really challenge yourself. I’m having a really challenging time. Andrew:	What’s the painful part? Larry:	Starting anything from nothing is very challenging. You know, like finding the team and getting the product and selling the product and marketing the product. Nothing is easy. Andrew:	I feel the discomfort. Are you regretting getting into this? Andrew:	You see the opportunity. Larry:	I’m actually a better . . . my core strength is in the early stage. As WordStream got bigger and bigger, the less critical I was, you know? So like my business totally like the first $50 million or whatever is totally where I should be focused. Andrew:	This is the part that you enjoy? Larry:	Yeah. All like kind of enjoy in a, you know . . . I really love going for a long run or like I don’t’ know. Andrew:	Yeah. That’s what it is. It kind of feel like you’re on mile 20 of a run where it’s super painful but you want to run the marathon so you got to keep going through mile 20. Andrew:	Something like that. You know what, I was talking to Ross Buhrdorf, the founding CTO of HomeAway. This guy, 10 years, he spent at HomeAway since basically the very beginning starting a brand new company. As we’re talking, I see something on his arm, I go, same approach I used with you, I said, “Is it inappropriate for me to ask you what’s going on with your arm? And he said, “No, not at all.” He pulled up the thing and I forgot the exact the words but it was something like, “Screw fear,” like it was his big tattoo to remind himself to overcome fear. I go what are afraid of? He says, “I have a reputational risk right now. I built this thing for 10 years. We took it public. It was over a $3 billion business. Now if I fail, see I have reputational risk and everything else, people’s salaries now depend on me,” and I get it. Andrew:	That’s what you’re feeling too? Larry:	All these believers that I brought on this new train. Andrew:	Like who was it? It was [Mari Smith 01:01:10] who also got her. That’s another thing you did really well. You go a bunch of people who are big names and big mouths in this space to talk you up. Are you giving Mari Smith shares in the business? Larry:	You know, I can’t comment on this stuff. Larry:	Let’s talk after the break. Andrew:	All right. So here’s the thing. I’m going to say that everything I heard about WordStream is just super impressive and I’m glad to get to talk to you in person and hear what you did. What I really wanted to talk to you about was do an interview about MobileMonkey. It feels like you’re not there yet, even though you have customers, you told before we started with the number of . . . not the exact number but you told me where you were. It’s impressive of how far you’ve come in such a short period of time. I would love to do an interview with you where we just spend an hour talking about MobileMonkey. Whenever you’re ready, I’d love to do it. Be prepared to feel a little discomfort because it seems you’re at the discomfort stage, but understand that I’m super psyched by what you’re building up over there. I think you’re on to something because messenger marketing is super untapped. All of us are using chat. We use chat to talk to each other today to schedule this, right? We’re all using chat. I use chat to talk to my wife. Your mom using chat with you, text messaging, that type of thing? Larry:	Awesome. I hope soon. Andrew:	I hope that too. Andrew:	Thanks so much for doing this interview. Larry Kim is available at larrykim.com. He’s incredibly popular on Twitter. The guy’s got almost a million followers on Twitter. He’s not like posting pictures of himself with a bathing suit, which is super impressive. And he’s not like a far right wing or left wing fanatic. He’s just a guy talking marketing. So you can follow him @LarryKim on Twitter. And I want to thank the two sponsors who made this interview happen. The first is going blow Larry’s mind when he signs up for them for email marketing. It’s called ActiveCampaign. The second, Larry is going to think about only when it’s time for him to say I need a really great developer. What’s the company Andrew said? Something like Toptal. Oh, you know it? Great. Don’t forget to throw, just as a favor to me, /mixergy at the end of that Toptal. And Larry, thanks so much for doing this. I’m getting forward to knowing you over the next few years. Larry:	Thanks, Andrew. It’s great. Thanks for the opportunity. Have a good day. Andrew:	Love it. Bye. Bye everyone.